An image from Hollywood’s “Golden Age of Horror” could fetch more than £1 million at auction – making it the world’s most expensive film poster. 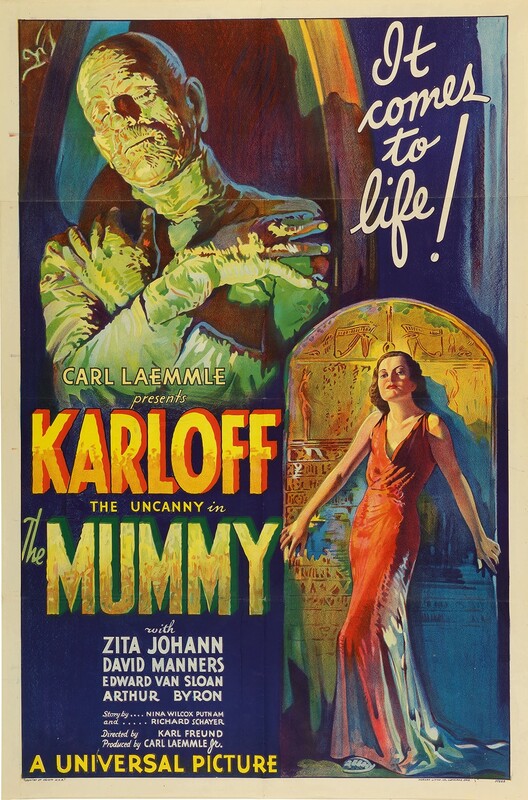 The original 1932 lithographic film poster for horror classic The Mummy is up for sale at Sotheby’s in New York. It is only one of three known copies to survive – one of which is in the collection of Kirk Hammett, Metallica lead guitarist. The poster was previously sold at Sotheby’s New York in 1997 for 453,500 US dollars (about £340,000), at the time marking a new world auction record for a single film poster – a title it held until 2014. Featuring English actor Boris Karloff and Hollywood star Zita Johann, it is being sold, with an estimate of up to 1.5 million dollars (£1.1 million) in an online auction which closes on Halloween. The Golden Age Of Horror brought in a new genre of cinema as silent movies gave way to “talkies”. Horror films like Dracula, Frankenstein, and The Mummy “tapped into the fears and societal unrest between the World Wars”. 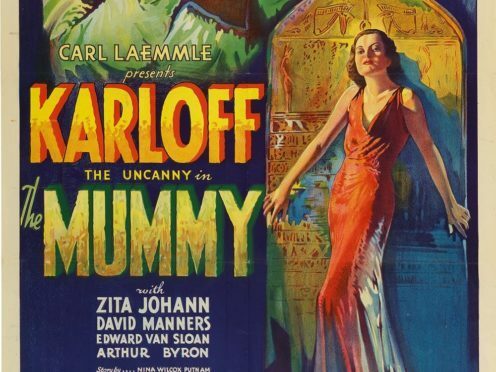 Designed by Karoly Grosz, Universal’s advertising art director, The Mummy poster features the graphic design pioneered by Hollywood studios during the 1930s.